Over the past 74 years, the Rolex Sydney Hobart Yacht Race has become an icon of Australia's summer sport, ranking in public interest with such national events as the Melbourne Cup, the Australian Open tennis and the Boxing Day cricket test. 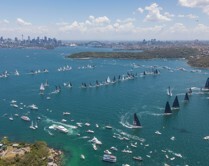 No regular annual yachting event in the world attracts such huge media coverage than does the start on Sydney Harbour. The Rolex Sydney Hobart Yacht Race and Cruising Yacht Club of Australia have had a marked influence on international ocean yacht racing. 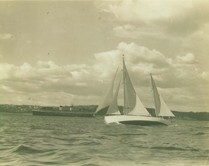 The Club has influenced the world in race communications and sea safety, maintaining the highest standards for race entry. The Club's members have also fared well in major ocean racing events overseas, with victories in the Admiral's Cup, Kenwood Cup, One Ton Cup, Fastnet Race, Clipper Race and BOC Challenge solo race around the word, not to mention the America's Cup. As well as the eclectic on-water racing, the Rolex Sydney Hobart provides various activities and events for people of all ages to be a part of. Boxing Day each year is also Family Day in the JANUS et Cie Rolex Sydney Hobart Yacht Race - Sydney Race Village. Face painting, popcorn, live streaming of the start and everything in between can be found in the Race Village on Family Day! 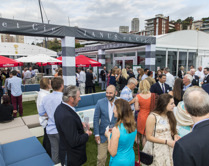 The Hobart Race Village comes alive even before yachts start to finish, with live music, food and drink stalls, interactive information and game screens, and many activities to keep everyone happy! In prime position to view the New Year's Eve fireworks, the Hobart Race Village provides the only outdoor festival on New Year's Eve in Hobart! To find out more about the Race Villages in both Sydney and Hobart, click here.